Learn PHP on the Fly! This is the title of my Ebook. I am writing an Ebook on PHP. The book provides you a quick tour of PHP and how to start your career in PHP. The objective of the book is to provide all the information about PHP in a nutshell. The book is especially written for those who want to make make a career in PHP but don't know from where to start. 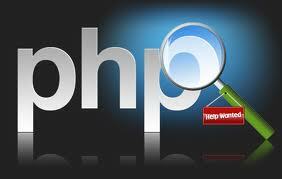 It guides you through the whole process of seeking a job in PHP. I am hoping to complete the book by next week. And I guess it will be launched in next week as well. I hope you will all like this Ebook. "The good thing about making a career in PHP is that you can do it on the fly. And you need not required to have a formal degree in information technology. All you need to have some programing skills and a go getter attitude." "Forms are very important part of a website and often used to collect data from the user. A very simple form example is Login Form. Login form is used to provide access to a website. A form contains different type of items to collect data. So it’s important to understand different elements of a form." "There is no need to declare a variable in PHP. They are automatically declared as soon as you assign a value to it."